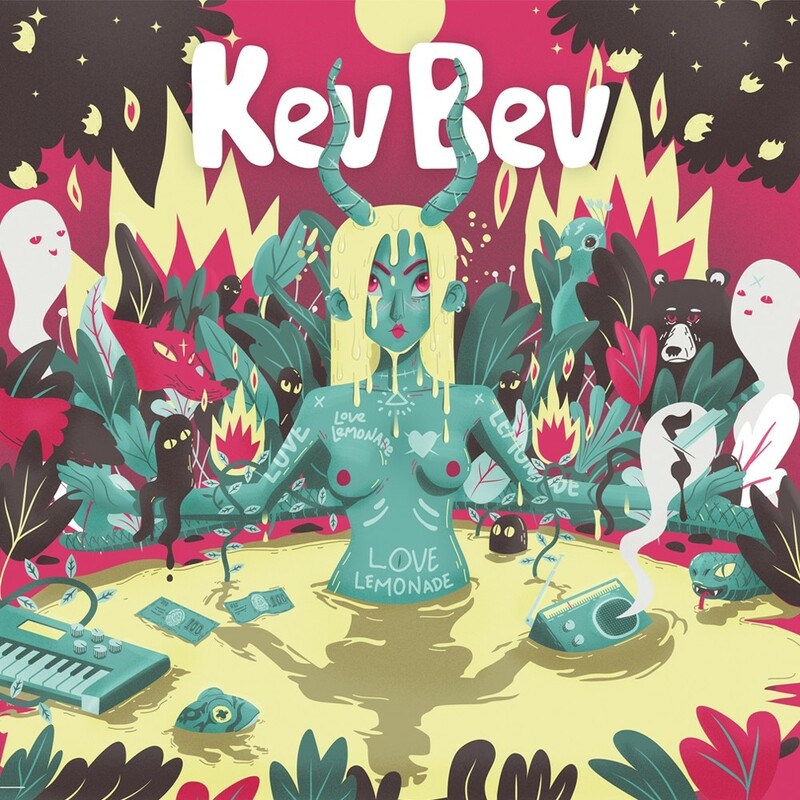 Album Cover for the Kev Bev 2nd album "Love Lemonade". A love demon cleanse her bad feelings in a lemonade bath while the 'woodland creatures' (as the band is also referred to) watch from the bushes. The other elements in the image are references to some songs (dollar bills, synthesizer, radio).